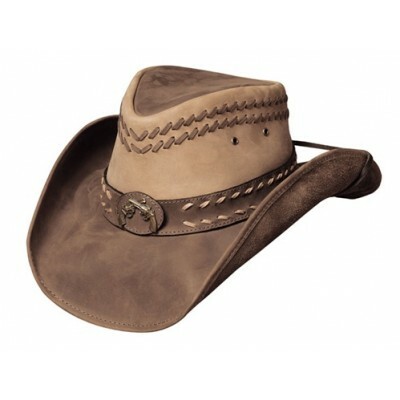 From Bullhide's Down Under Collection, this hat is made of genuine leather with detailed stitching. The Hideout features a 3-3/8 inch brim along with a 4 inch crown and handy chin cord. This is a great hat, but it doesn't live up to its name, you won't want to hide this amazing hat anywhere. 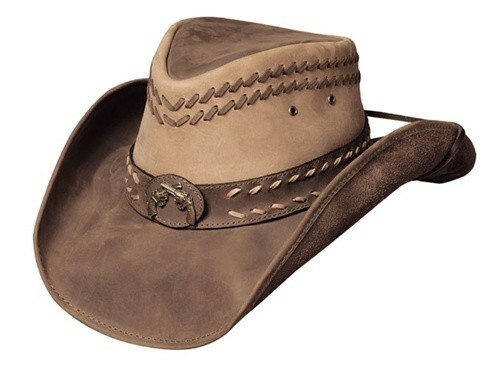 Show off this unique cowboy hat today!